A super duper single menu joint that is just a hole in the wall shop but serves some excellent kababs. Address & other details: Alight at Central metro station (towards Poddar Court end). U come across a statue of Maharana Pratap on ur left if u r facing Girish Park. Once in front of the statue, take the road to the right (if u r facing the statue). Take first right turn from there & go straight. The shop is on the left near Haji Allauddin Sweet shop. Many years back, I was floored by the sutli kabab here. 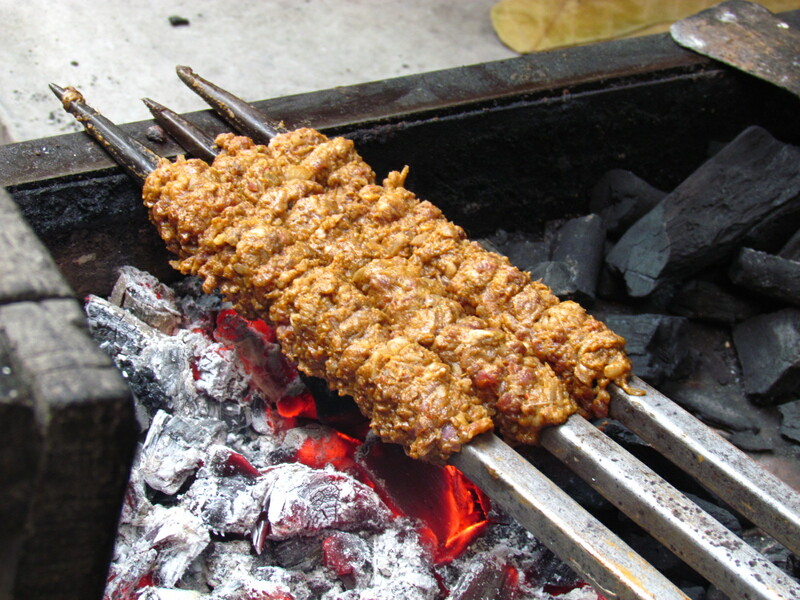 For the uninitiated, Sutli kabab is made by wrapping a paste of meat & spices around a metal sheekh, tying it with a cotton thread & then doing it on a barbeque pit. 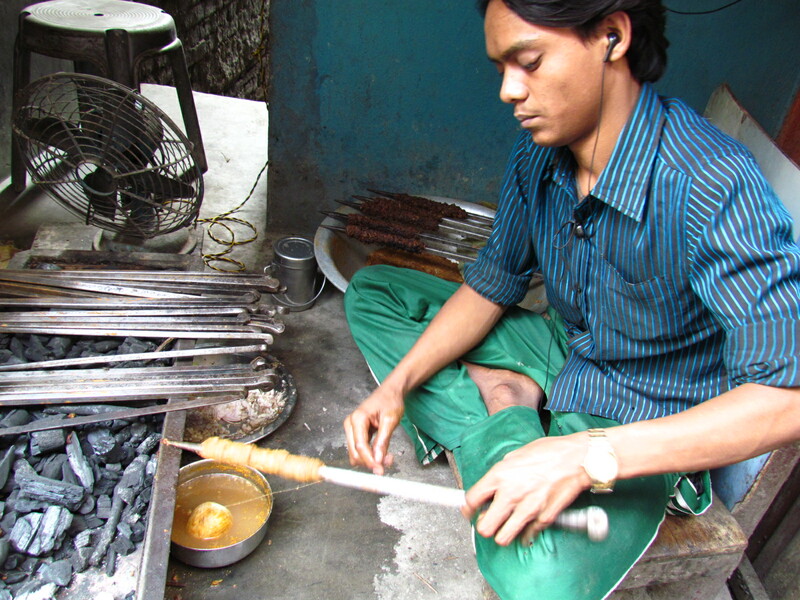 Once the kabab is done, the thread is removed & the kabab is served. 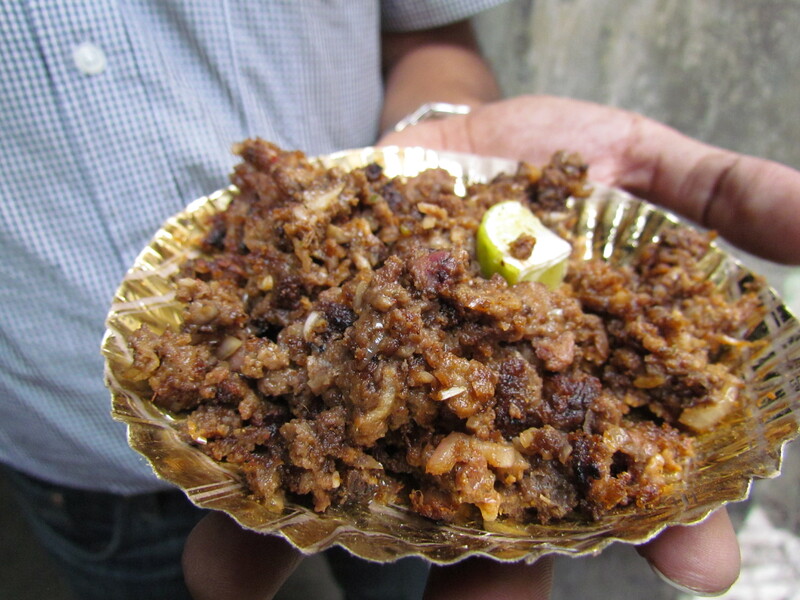 The sutli kabab I had then was unbelievably soft, spicy, hot, awesomely tasty & was just out of the world. I thought it to be the best in its category then. Earlier this year I had a similar thing at Babu Bhai Kababwale, Chilti Qabar, purani Dilli. I was very impressed but I thought that Adam’s was better. 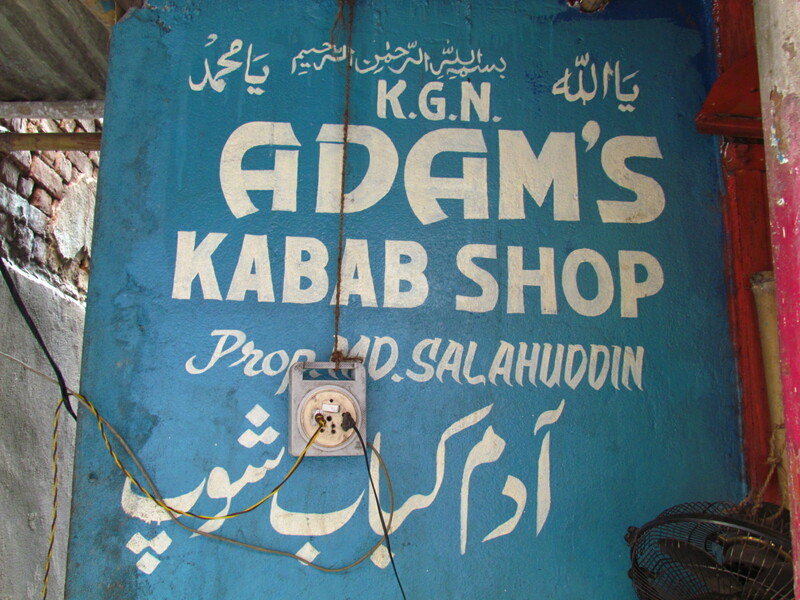 Back then Adam’s Kabab name was not written anywhere. The elderly guy at the shop used to sit on the floor. This time we found a young guy with earphones manning the shop, sitting on a high cement slab with Adam’s kabab written. In case u r wondering about the name Adam, it refers to the first human being according to Islam who is also considered the first prophet. This time around we found the taste to be very good but inflation had left its impression on the food. 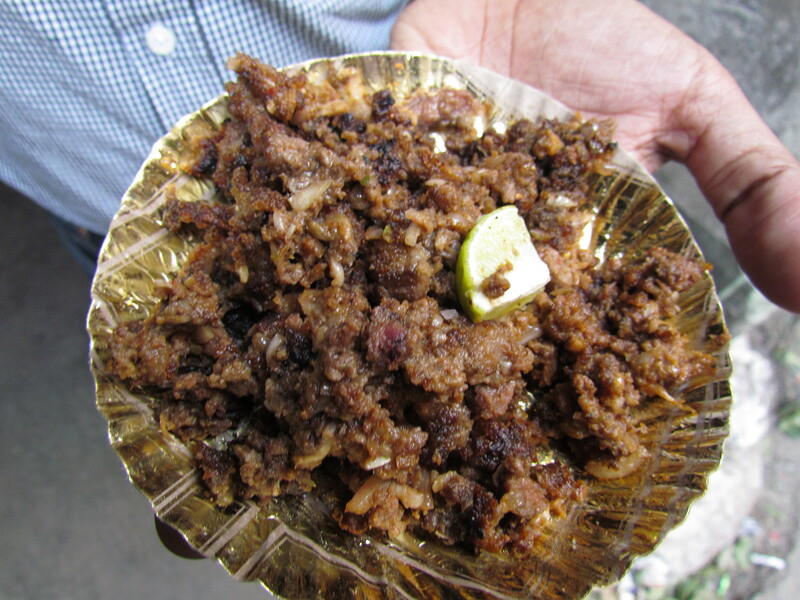 Daal is used as a binder in the sutli kabab. This time we found that the proportion of daal has increased than before. Result – the softness & juiciness had reduced. 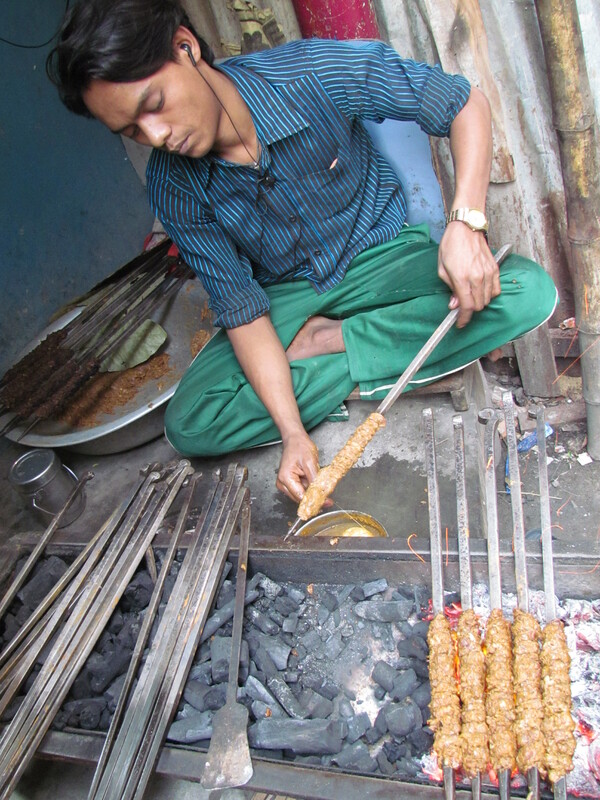 None the less the sutli kabab was excellent inspite of the increase in daal proportions. Loved it. U can surely try it out (in case u do not have an issue with beef). With refreshed memory, I think Babu Bhai Kababwale is better than Adam’s but Adam’s is too good on its own. Super duper. Coming to Kolkata in the Pujas.. Hope to catch up with all these food joints. I do think that a contact number would definitely help.. I am not sure a phone number wud be easy / anyone wud surely pick it up. Just asking for Metiabruz thana – anyone can show it to u. Once there, it is few buildings away. Again, everyone knows about that shop…………….. Indian GPS works for sure. I tried few times at metiabruz. Couldn’t locate this Yummraj. There were so many nondescript kebab shops in the vicinity that I couldn’t tell which was Adam’s. But I did find Haji Alauddin and Liyaqat. Earlier they used to hv a board like in the picture. Do they not have it anymore? I went to Haji Alauddin today and their owner said he knows that shop. But I did not have much time so will try to find Adam’s some other time. I kept looking for the board last time but could not find it. Asked a few locals but they were not of much help. Hey. Thanks for the review. It was really helpful. Can you please also mention at what time must one go? Does the shop stay open for long or is it only for a fee select hours? I intend to cover it for my blog. Your help will be really appreciated.